It is never too late to build a career using your personal interest. 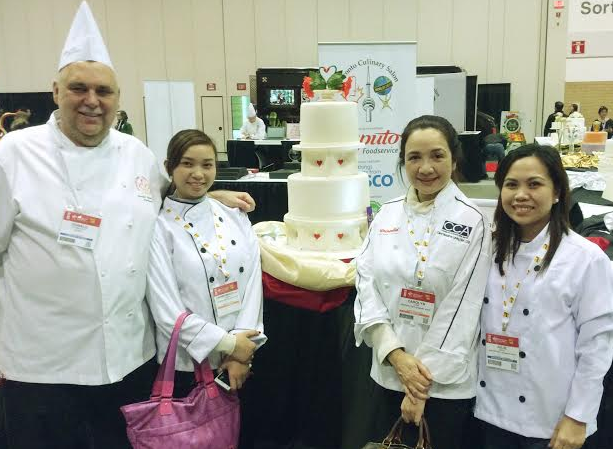 Be inspired by this story of CCA alumni and cake artist Chef Carol Tentativa-Lavin. Award-winning cake artist Chef Carol Tentativa-Lavin may have started her path to a culinary career late in life, but her love for desserts began as a child. Inspired and awed by her mom’s cakes and pastries which graced special family occasions, Chef Carol knew her interest in baking will always play a nurturing role in her future endeavors. 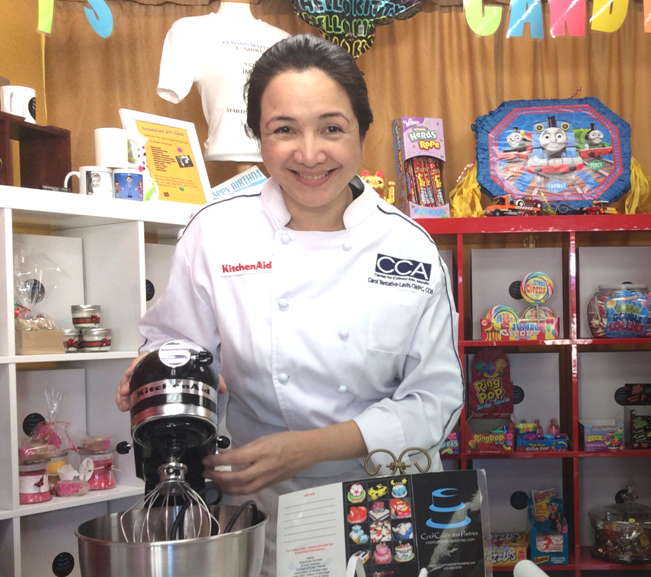 Even when she started her own family and became a mother, Chef Carol, then working as a bank employee in Makati, never outgrew her passion and enthusiasm for baking. She continued it as a hobby and as a side job. It was at this time when she thought of taking formal training to further harness her artistic skills in cake and pastry making. “Though I was self-taught, my husband and I felt that I need to explore more about baking, and earn a degree,” she revealed. After leaving her full-time corporate job, Chef Carol followed her passion -- one that would allow her to combine her love for art and baking. She enrolled at the Center for Culinary Arts (CCA, Manila) where she earned a Diploma in Baking and Pastry Arts and Technology Management. Taking the brilliant start towards her culinary journey at CCA, Manila proved to be challenging at first, as she painstakingly juggled studies and motherhood responsibilities. But she proved that both can be balanced with smart determination, discipline and time management. Chef Carol’s clear vision to achieve her goals eventually paid off, with award-winning cake designs forever cementing her fate and career in the industry. She has won titles in inter-school contests, as well as in national exhibitions and international cake shows as a student. Her most memorable triumphs include her first win at the 2004 Chefs on Parade where she got a gold medal; the 2007 Bakery Fair (gold medal); 2008 Fondant Cake Decorating Contest in Atlantic City (silver); Dress the Cake category at FHA Singapore (bronze) and 2010 World Food Exposition (bronze). Her most recent cake competition was at the Toronto Culinary Salon 2015 where she won a special diploma for her wedding cake masterpiece. Sponsored by leading home kitchen appliance brand, KitchenAid, the passionate artist executed a well-detailed design efficiently using its versatile product. “We used the heavy-duty KitchenAid Mixer for mixing our icings and the pasta maker attachment for the gumpaste. Instead of rolling it manually, the attachment helped us a lot to save our time for making small sheets in our decorations,” she said. “I always aim for ‘detailed’ perfection, meaning the cake must be good from inside out. I do so by always putting my mind and heart into it,” Chef Carol said. Through the years, Chef Carol has rightfully earned her distinction as one of the country’s top her cake designers. She currently runs her own business, Chef Carol Patisserie. She is also an American Culinary Federation (ACF) Certified Culinary Educator (CCE).And as an icing on the cake, her career is made sweeter by her current post as full-time chef instructor handling baking and pastry art subjects at CCA, Manila. Mentoring future generations of cake designers and eventually seeing them have successful careers of their own is another fulfillment that Chef Carol is very proud and grateful for. For inquiries on the diploma or short courses, call CCA, Manila at 218-8566 or e-mail: [email protected]">[email protected] . Visit www.cca-manila.com. The main campus is located at 287 Katipunan Ave., Loyola Heights, QC. Application is ongoing.